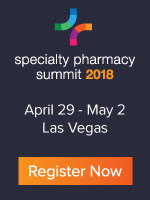 Please join me at Asembia's Specialty Pharmacy Summit 2018, which will take place from April 29 to May 2, 2018 in Las Vegas. This is a must-attend event for anyone connected to specialty pharmacy. You'll meet an impressive diversity of people from pharmacies, manufacturers, health plans, wholesalers, hospital systems, pharmacy benefit managers, patient advocacy groups, and more. Click here to view the agenda. This year, I will participate in the Featured Session, titled Specialty Pharmacy Industry Outlook: What’s Happened and What’s Ahead. I'll be joined by Doug Long from IQVIA and Lisa Gill from J.P. Morgan Securities. I'm hoping to get another epic selfie! 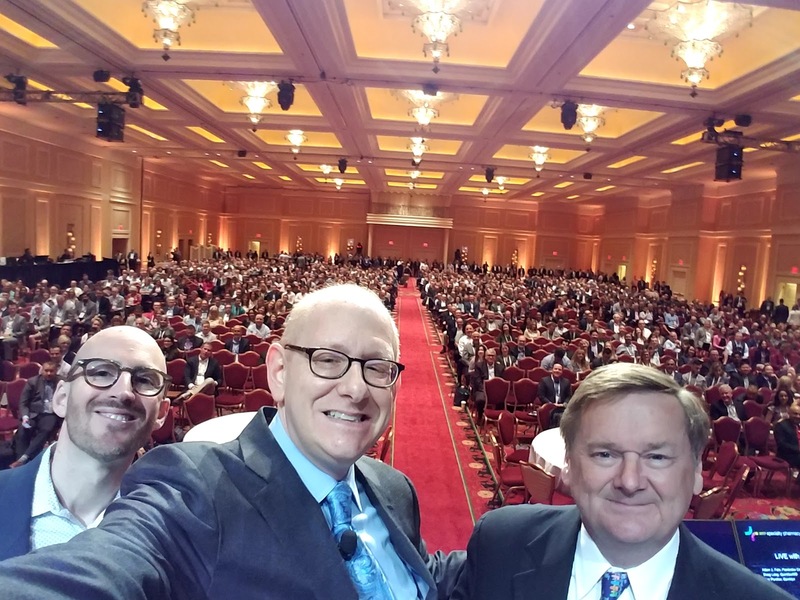 Here's my review of last year's Summit: The State of Specialty Pharmacy 2017: Reflections from #Asembia17. Read on for more details about this great specialty pharmacy event and register now. See you in Vegas! Asembia’s Specialty Pharmacy Summit returns to Las Vegas on April 29 through May 2, 2018. As the nation’s largest annual healthcare conference for specialty pharmacy, the 2018 Summit will welcome a record-breaking 6,500 attendees, including more than 1,000 pharmacy providers, health systems, pharma/biotech manufacturers, payers, drug wholesalers and many other specialty pharmacy stakeholder organizations. Participants will gain an in-depth understanding of all aspects of specialty pharmacy from renowned industry speakers who share current information and insightful commentary on the many facets of the nearly $200 billion specialty pharmacy channel. The 2018 Summit will feature four full days of interactive business and educational sessions, including more than 80 hours of expert seminars, continuing education sessions, and business workshops, plus unforgettable networking and social events and an engaging exhibit hall. Agenda highlights will include special guest speakers, featured business and industry seminars, and CE Sunday, a pre-conference day offering Continuing Education sessions (April 29). Select 2018 topics include: ensuring patient access to medications, managing rising drug costs, the future of patient assistance, consumerism in specialty pharmacy, evolution and management of specialty “lite” drugs, intersections of specialty and community practice, forging successful managed care partnerships, the evolving digital health ecosystem, and many others. Attendees will enjoy special events throughout the meeting, including networking with industry peers and professionals at engaging exhibit receptions, a Sunrise 5K Run/Walk on the Las Vegas strip, relaxing yoga sessions, the unparalleled Asembia Beach Club Party, and many other opportunities to connect with industry professionals. The broad variety of timely business and educational sessions, wide range of expert panelists and speakers, and unmatched networking opportunities make the Asembia annual meeting an essential event for all specialty pharmacy stakeholders. Register and learn more at www.asembiasummit.com.